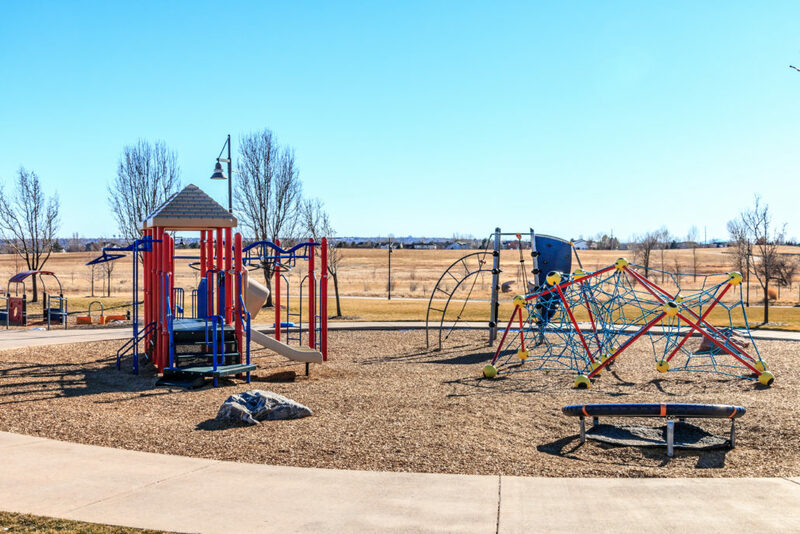 The community is growing, as is the park. 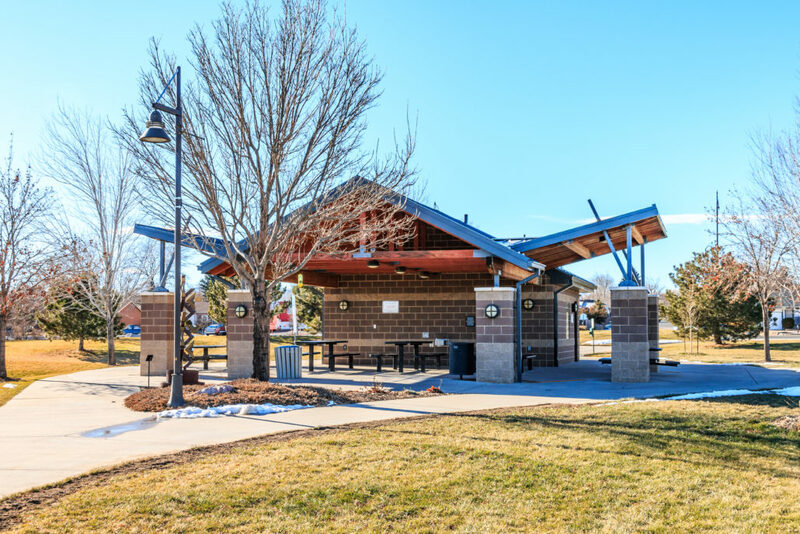 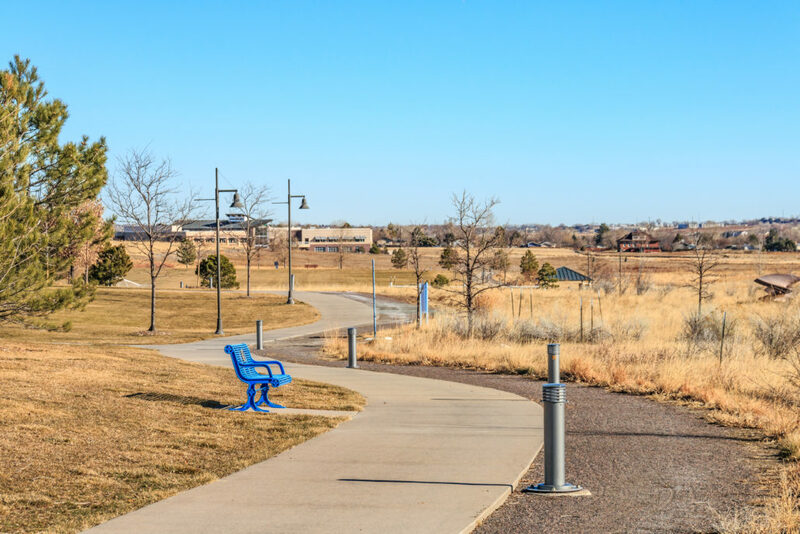 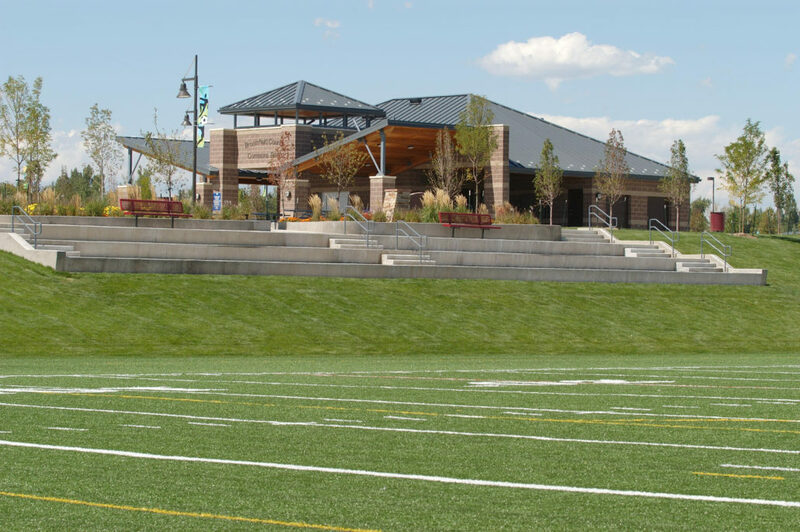 Renovation and update to Broomfield County Commons Park, first constructed by ECI in 2003. 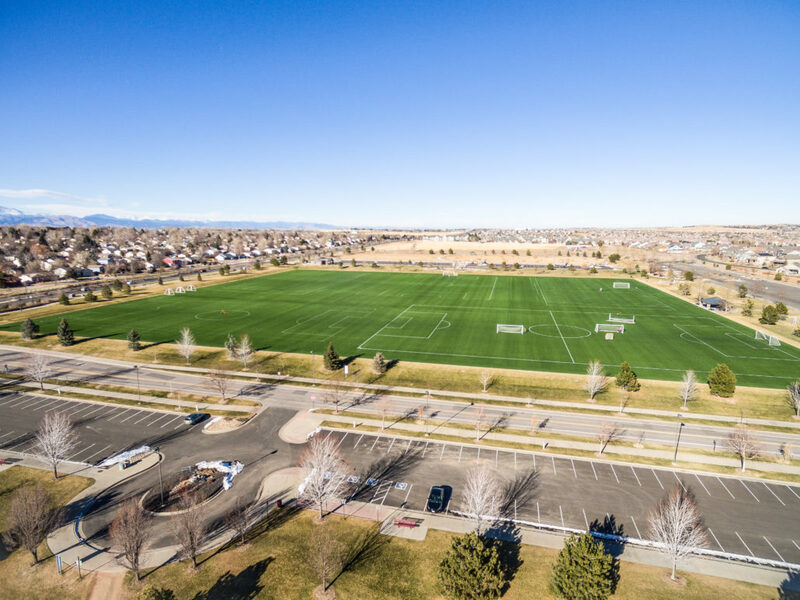 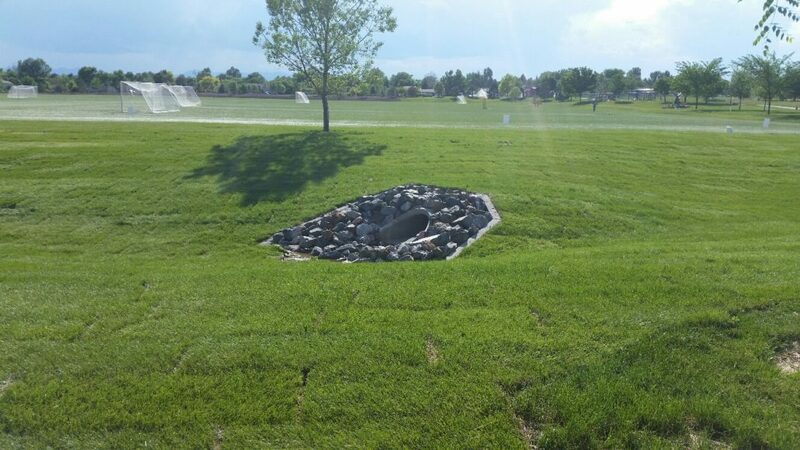 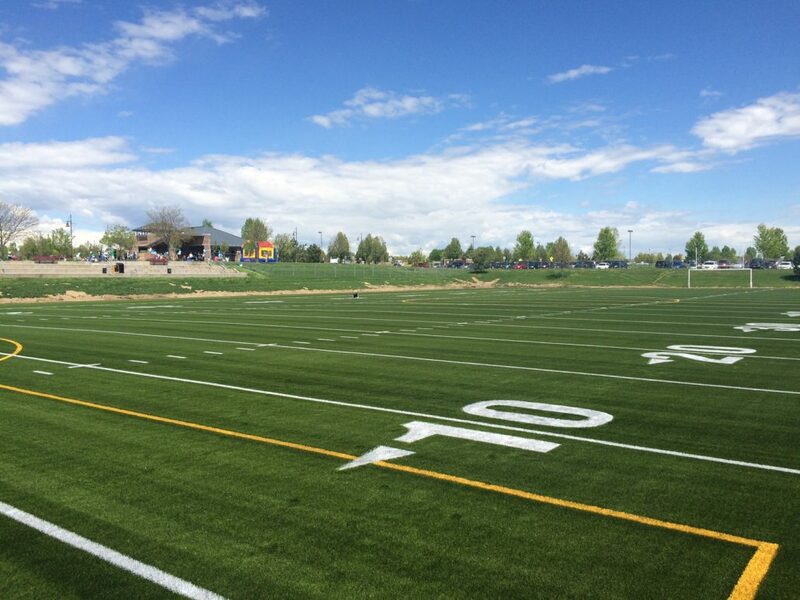 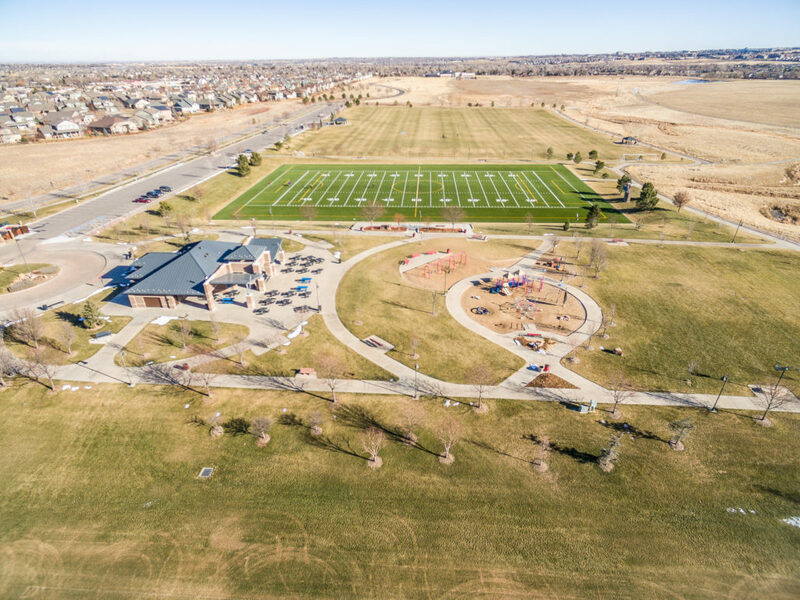 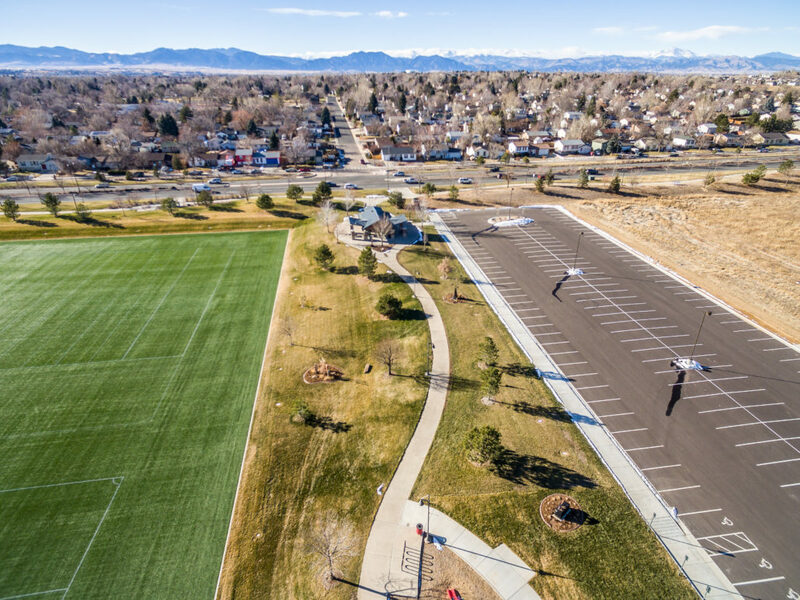 ECI was again contracted to remove and replace synthetic turf and update field drainage and surrounding irrigation, on Broomfield’s Championship Field. 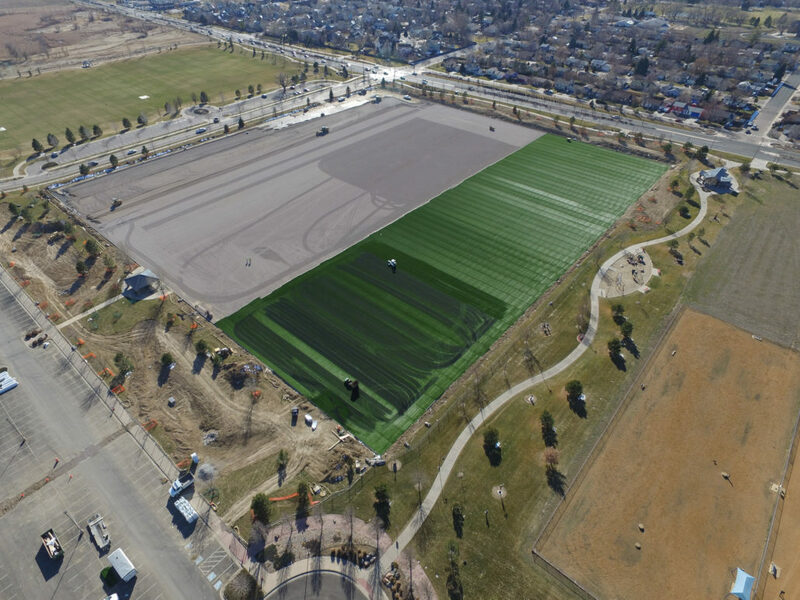 The Yellow Pod field also required grass turf removal and synthetic turf installation with drainage and irrigation improvements. 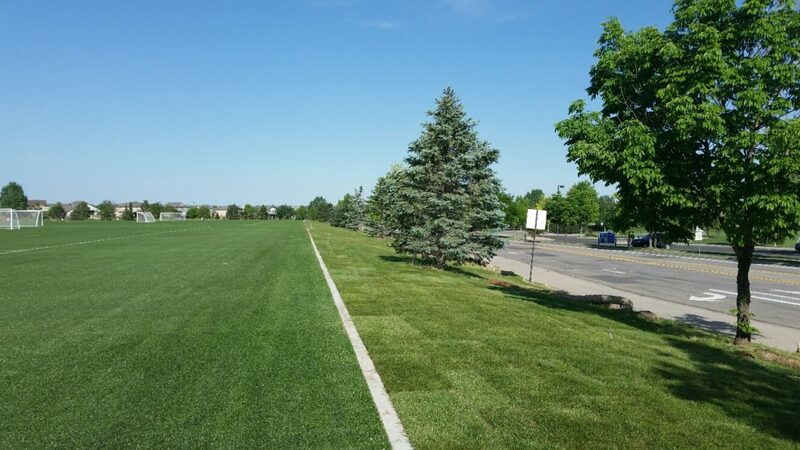 Sidewalks and seat walls were constructed in improve access at the Blue Pod field. 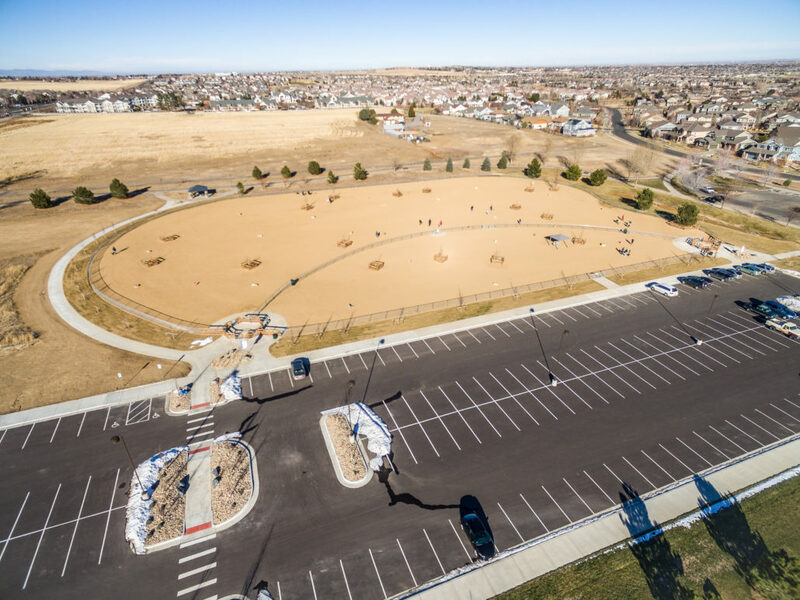 Site work was completed with a new asphalt parking lot with concrete curb and gutters, parking lighting, complete site landscape and irrigation improvements and a new dog park featuring shade shelters, dog watering stations, waste containers.